Whenever I am in a rush to get ready, I need outfits that are easy to throw on out the door but still are cute and fashionable instead of just workout clothes. You know what I mean? I love this Rodeo Boutique outfit for just that. 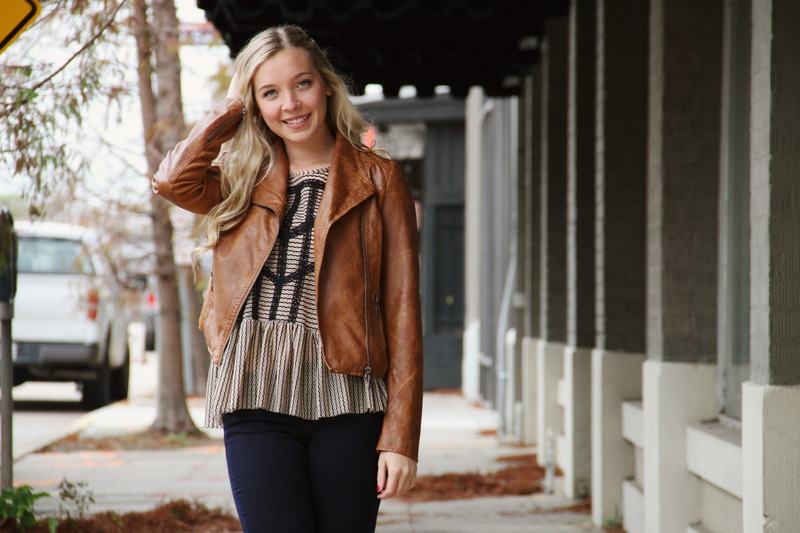 The Free People top is sleeveless so its accessible for summer and fall (with a jacket over like this leather one of course). And you can’t go wrong with pairing navy and brown together for Fall/Winter colors so win win.